The Yankees are moving up while the Mets are going down. 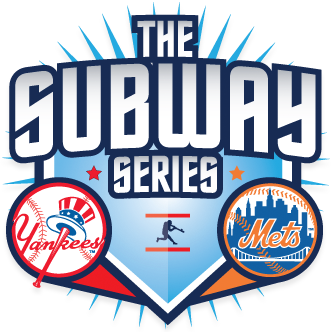 This was obviously played out in last night's Subway Series game. Jacob deGrom started for the Mets and pitched very well until Brett Gardner hit a two-run homer in the 8th inning. Since the Mets are just not hitting that was enough. The only highlight for the "Amazins" was a home run hit by Brandon Nimmo in the first inning. If they can't win with their top pitcher, when will they win again as they have now lost 7 in a row? Yoenes Cespedes is not the answer.